The Legal Aid Agency has today announced that all new civil Legal Aid applications must be made using the Client and Cost Management System from 1 April. The announcement comes despite warnings from representative bodies that the system is not fit for purpose, including Resolution’s letter to the LAA last week. The Agency have, however, conceded that practitioners are still experiencing significant technical difficulties that prevent them submitting applications on CCMS, and in these circumstances a paper application will be accepted. "The Legal Aid Agency have today announced that all providers making new civil Legal Aid applications must use the Client and Cost Management System (CCMS) from 1 April. We are disappointed that, despite their claims, the LAA have not listened to users of the system, more than two thirds of whom reported regularly experiencing problems with CCMS in a recent survey. We do welcome the introduction of contingency measures, which does allow for paper submissions in certain circumstances. This acknowledges the frustration felt by users, and delays and restrictions to access to justice suffered by some of the most vulnerable in society. However, the guidance on how these measures will work will lead to even greater confusion, uncertainty, and frustration among the legal aid community. The LAA defines a condition by which a paper application may be submitted as an ‘exceptional circumstance.’ Regrettably, the experience of our members is that regular problems and system failure is anything but exceptional. Just yesterday, we received many reports that people could not access the LAA portal. We recognise that the LAA is keen to avoid another government IT failure. Unfortunately, if they plough ahead with CCMS – which 82% of users say is not ready for compulsory use - that is exactly what they will have. Our call for a delay is not driven out of a dogmatic opposition to new systems – in fact, 71% of respondents to the survey said they welcome the concept of electronic working, and there are acknowledgements that improvements have been made since CCMS was first introduced. However, our members have identified a number of further improvements which need to be made to CCMS before its use is made compulsory. We call on the Legal Aid Agency to see sense, take a pragmatic approach, and not force people to use a system that is clearly not fit for purpose until these improvements have been made." New plan to see more children placed in loving, stable homes by ensuring adoption is always pursued where it is in a child’s best interest. Full story: Department for Education. Nine out of 10 people forced to represent themselves in family court reported a negative impact, says Citizens Advice. Full story: The Guardian. Numbers of children entering the child protection system are on the rise because service designed to help them stay with their families are being “decimated”, MPs have been told. Full story: Children & Young People Now. Resolution has this week written to the Legal Aid Agency, urging them to delay the compulsory use of the Client and Cost Management System (CCMS), which is due to take place from 1st April. Full story: Resolution. Diplomatic role for Sheikh Walid Juffali – facing divorce proceedings in UK – was ‘entirely artificial construct’, says judge. Full story: The Guardian. See Al-Juffali v Estrada, below. Appeal by a mother against a special guardianship order in respect of her son. Full report: Bailii. Appeal from a committal order made on 18 January 2016, for breach of a collection order which had been made over eleven years previously. Appeal allowed. Full report: Bailii. Appeal by wife relating to the construction of a term of a consent order. Full report: Bailii. Appeal against order dismissing application of H to strike out W's claim for financial relief pursuant to Part III MFPA 1984 on the basis that H was entitled to diplomatic immunity. Appeal dismissed. Full report: Bailii. Wife's claim for financial remedies, in which the central issue was how shares owned by the husband prior to the marriage should be treated, and to what extent the wife should share in their value. Full report: Bailii. Veterinary charity PDSA, which provides care for sick and injured pets of people in need, has launched a nationwide Free Wills service for pet lovers and is seeking solicitors to join its programme. The charity’s vets and nurses provide over two million treatments every year, helping 300,000 owners who would otherwise be unable to afford veterinary care for their pets. Two out of three treatments are funded by gifts in wills, making the charity one of the UK’s most popular beneficiaries among legators. PDSA will pay participating solicitors a fee to write a simple or mirror will. Clients may then choose to leave a gift to PDSA in their will, although this is not compulsory. PDSA’s offer of a simple will or codicil is available to individuals or couples over the age of 50, with solicitors able to build up ‘will banks’. For more information about joining PDSA’s Free Will scheme, please visit www.pdsa.org.uk/freewill or contact Ruth Lister on 01952 797 274 or lister.ruth@pdsa.org.uk. The great court fees scandal, and one way to make it fairer - An idea to counter the appalling increase in the divorce fee. A tangled legal web for the unmarried - As demonstrated by S v J & Ors. The distinction between matrimonial and non-matrimonial property - As argued over in Robertson v Robertson. Resolution has this week written to the Legal Aid Agency, urging them to delay the compulsory use of the Client and Cost Management System (CCMS), which is due to take place from 1st April. This letter comes in the light of the results of a survey run by Resolution of legal aid practitioners, which nearly 600 CCMS users completed. The survey was promoted by a range of other organisations who share a common interest in making sure CCMS works for everyone. 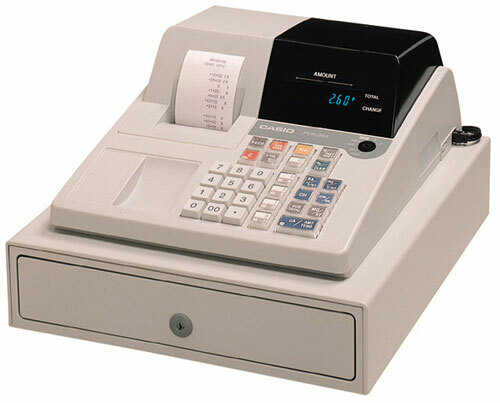 This revealed that, despite improvements to the system since it was first introduced, significant issues still remain which make CCMS unfit for purpose. The survey found that an overwhelming majority of practitioners – 82% - did not believe CCMS would be ready for compulsory use from 1st April. This included users making Special Children Act applications, for whom CCMS use is already compulsory. Resolution has been working closely with other representative bodies to persuade the LAA to make the improvements it has already made, and to delay the compulsory use of CCMS which was originally scheduled for February. However, Resolution’s members believe time is running out, and the LAA need to make the sensible decision to delay compulsory use of CCMS until the many ongoing problems are resolved and they’ve made the improvements that are desperately needed. "The Legal Aid Agency needs to see sense and delay the compulsory use of a system which is clearly not fit for purpose. "We have had an overwhelming response from legal aid lawyers on the ground, who are working with some of the most vulnerable members of society to help them get access to justice. They are telling us that CCMS is not working as it should or, on some days, working at all. "When the government announced last month that 86 courts were to close across England and Wales, we were told that savings would be used to modernise remaining courts, including greater use of technology. On the evidence of CCMS, together with the Form E fiasco late last year, practitioners are not exactly brimming with confidence about this prospect. "Our call for a delay is not driven out of a dogmatic opposition to new systems – in fact, 71% of respondents said they welcome the concept of electronic working, and there are acknowledgements that improvements have been made since CCMS was first introduced. Concerns that budget does not address child poverty. Full story: Family Law Week. Further amendments to The Family Procedure (Amendment) Rules 2016 relate to attachment of earnings, charging and stop orders. Full story: Family Law Week. The Ministry of Justice has slipped out an announcement of a 34% hike in divorce fees expected to take effect next Monday, despite strong opposition from family lawyers. Full story: Law Society Gazette. Application by former cohabitee for declarations as to the ownership of four properties in which either or both parties had an interest during their former relationship. Full report: Bailii. Hague wrongful retention case brought by a mother living in Spain against a father living in England. Full report: Bailii. Claim by applicant alleging that his committal to prison for civil contempt, and the subsequent civil proceedings by which he sought to obtain redress, violated his rights under Articles 5 and 6 of the Convention. Full report: Bailii. Judgment determining wife's financial remedy application, in case where there was a substantial disparity between the parties' assessment of the wife's needs. Full report: Family Law. Child’s objections insufficient to prevent his return to Ireland - A detailed look at the case FK v ML (Child's Objections). Bringing Hague proceedings to an early conclusion - The President's judgment in D (Children). Changing attitudes towards domestic abuse against men - The subject of men being victims of domestic violence is back in the news. The importance of professional advocacy in family proceedings - As demonstrated in the case Re C, D & E (Children). “The stealthy implementation of the hike in divorce fees, from £410 to £550 (after an increase only 2 years ago) is scandalous and not backed up by a proper impact assessment. As a result of the steep increase, many people currently in the process of separating will have received incorrect information as to the charge for lodging a divorce petition and, in reality, won't have time to get their petition in before the fee increase takes effect. “Divorce is not a ‘choice to litigate’ - it’s a necessary part of the legal process to bring a relationship to an end. Whether people mediate, negotiate their own outcome or go to court, they have to pay the divorce petition fee. The actual cost of the administrative process has been shown to be £270, meaning that at new rates the MoJ is making a profit of more than 100% - in effect, levying a divorce tax. “The 34% increase may lead to people unable to afford the fee remaining legally and financially tied to their former partner long after the relationship has ended. Increasing fees will disproportionately impact women, who constitute two-thirds of those initiating divorce proceedings. The extent of the rise could, as the judiciary and others have warned, lead to women being trapped in unhappy or violent marriages. “The Government should have waited until the Justice Select Committee, who are currently holding an inquiry into court fees, had published their findings. Instead, the way in which this has been gone about, with no formal consultation or announcement, demonstrates a shocking lack of transparency from government. The manner in which they’re implementing this increase, by calling courts today and instructing them to charge more from Monday, is not how a responsible government department should act. “This will lead to confusion, hardship, and avoidable additional pain for separating couples." Ker-ching! Is there any excuse for charging £550 to issue a divorce? Question: Is there any excuse for charging £550 to issue divorce proceedings, as will be the case from next Monday, despite the actual administrative cost of divorce being just £270? 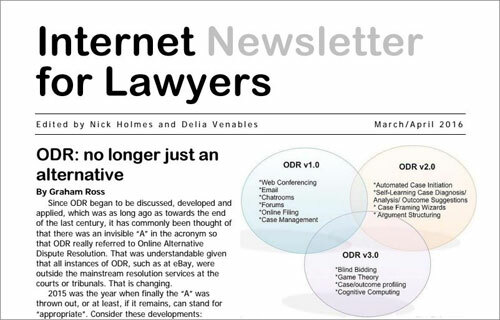 The latest issue of the Internet Newsletter for Lawyers is now published. Judge places responsibility on health secretary Jeremy Hunt and justice secretary Michael Gove to find workable solution to representation issues. Full story: Community Care. See also Re J and Re VE, below. The Upper Tribunal has provided guidance as to how the First-tier Tribunal should exercise case management powers in child support cases where a parent expresses concern about attending a hearing because of fear of intimidation by the other parent. Full story: Family Law Week. See WA v Secretary of State for Work and Pensions, below. Judge says best chance of future reconciliation is to respect boy’s current wish to shun parents who kept using his old name. Full story: The Guardian. See PD v SD, below. In February 2016, Cafcass received a total of 3,237 new private law cases. This is a 10% increase on February 2015 levels. Full story: Family Law Week. The number of applications for children to be taken into the care system in England has hit an all-time high. Full story: Children & Young People Now. Case seeking welfare orders to authorise deprivation of liberty, where Rule 3A representative available. Full report: Family Law. Five cases seeking welfare orders to authorise deprivation of liberty. Full report: Family Law. Application by father for return of children to USA. Father successfully challenged ex parte order in USA allowing mother to remove children from USA. Father given permission to withdraw Hague proceedings. Full report: Bailii. Application by looked after 16 year old for declaration that his adoptive parents should not receive any information about his day-to-day life, nor about his assessment and possible treatment at the Tavistock Clinic or other medical facility. Full report: Bailii. Appeal raising the issue of how the FTT should exercise its case management powers to ensure that, in a child support case, a parent is not prevented from attending a hearing due to fear of intimidation. Full report: Bailii. The child support claimant who feared intimidation - A situation that, I suspect, is not uncommon. WA v Secretary of State for Work and Pensions & Anor (Child support: tribunal practice) demonstrates how it should be handled. A Kafkaesque child support decision - The Upper Tribunal sorts out an absurd situation in SB v Secretary of State for Work and Pensions and & Anor (Child support: calculation of income). What exactly are the family courts for? - To administer the law, or to solve society's problems? “Justice has no second class: even in an age of austerity” - At least, that's how it should be. Sir Ernest Ryder's speech The Modernisation of Access to Justice in Times of Austerity. Tomorrow (11 March 2016) Richard Bacon MP’s No Fault Divorce Bill is on the Order Paper to receive its Second Reading in the House of Commons. Leading family law organisation Resolution is urging MPs to support the principle of no fault divorce if they are serious about reducing family conflict and the ongoing impact of divorce. Recent research published by Resolution shows that the fault-based nature of divorce in England and Wales, which requires one person to accuse the other of adultery or unreasonable behaviour to have their divorce granted within two years of marriage breakdown, is driving over a quarter (27%) of divorcing couples to make false allegations to the court. 52% of divorce petitions were fault-based alleging either unreasonable behaviour or adultery. 27% of divorcing couples who asserted blame in their divorce petition admitted the allegation of fault wasn’t true, but was the easiest option. Resolution has campaigned for many years for the introduction of no-fault divorce, which was provided for in the Family Law Act 1996 but never implemented. Resolution’s Manifesto for Family Law, endorsed by leading relationship and legal organisations including Relate, One Plus One, Only Dads and the Family Law Bar Association, calls for the removal of blame from the divorce process, bringing England and Wales into line with other modern jurisdictions including the United States, Australia and Spain. A pilot Practice Direction has been published in draft, in advance of a case management pilot commencing in the Court of Protection in June 2016 to allow practitioners to prepare for a significant change in case management practice. Full story: Family Law. Prediction contained in his speech to the FLBA Annual Dinner. 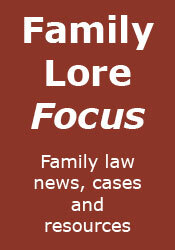 Full story: Family Law Hub. Following consultation with the President of the Family Division two specific forms have been created to deal with applications by any parties who are concerned their proceedings may have been affected by the problem. Full story: Family Law. Care proceedings. Judgment concerning wasted costs relating to adjournment of fact-finding hearing. Full report: Bailii. Judgment concerning two cases involving babies born to mothers from Eastern Europe but relinquished at birth for adoption. Full report: Bailii. Application by Malaysian mother to discharge an order restraining her from leaving the jurisdiction with the children, to enable her to take them to Malaysia on holiday. Full report: Bailii. Final hearing of care proceedings in respect of two disabled children of Indian nationality, whose parents are in India and indicated that they would only return to the UK to collect the children and return them to India. Full report: Bailii. Even Richard III looked after the justice system better than this government - An unheeded lesson from history. Is greater transparency inevitable? - Right or wrong, that may be the case. Family justice system faces a permanent state of change - The vision of our reforming President, as outlined in his speech to the FLBA. Some thoughts on reforming the courts’ approach to McKenzie Friends - Looking at the JEB's proposals to reform the guidelines on MFs. What is new in this edition? Well, this time there are no new entries, but we are told that several entries (on companies, confidentiality and foreign assets) have been substantially rewritten, and that the 'efficient conduct' entry (covering Mostyn J's Efficient Conduct of Financial Remedy Final Hearings statement) has been enhanced with a new section on allocation by complexity. Further, as one would expect, the Duxbury, tax, inflation and life expectancy tables have all been updated with the latest figures, new cases from the last 12 months (no fewer than 60 of them, including Wyatt v Vince, Prest, Sharland and Gohil) have been referenced and all other entries have been 'fully reviewed and updated where necessary'. The net result of all of this is that the Dictionary has expanded, from 87 to 93 pages. Its price has not, however, increased, remaining at £50, the same sum as the first edition. In their introduction the authors express the belief that the Dictionary "is becoming an indispensable tool for practitioners and judges in this area, commonly taken to court for ready use." They also point out that it was cited by the President (who has once again added a new foreword) in the case CS v ACS & Anor (see paragraph 15). No longer practising, I can't say whether the Dictionary is becoming an indispensable tool for practitioners. However, I am sure that for those who have invested in it it has already become a very handy point of first reference, providing concise summaries of many of the financial remedy points that are likely to come up in practice, and saving the time that might otherwise be spent delving into less succinct tomes. Of course, like any reference it must be up to date, but for such a modest annual outlay a new copy each year is a no-brainer that is likely to be repaid many times over. Dictionary of Financial Remedies can be purchased from Class Legal, here. Once again, a digital edition is also available via Class Legal's website.